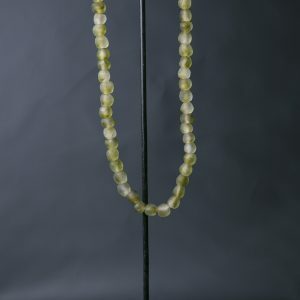 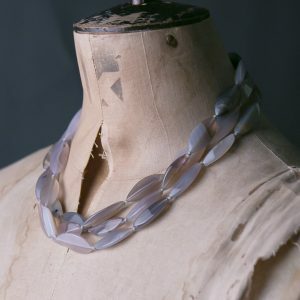 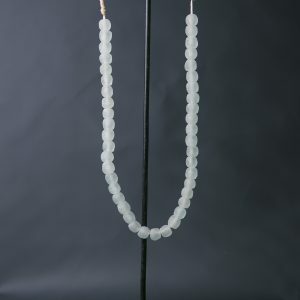 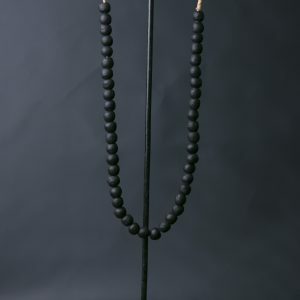 View cart “Recycled Glass Bead Necklace – Black” has been added to your cart. 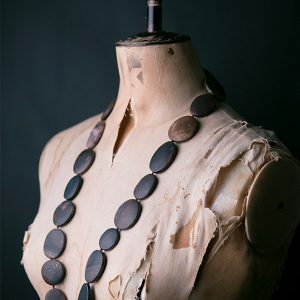 A very cool, boho style necklace that puts a modern spin on a timeless classic! 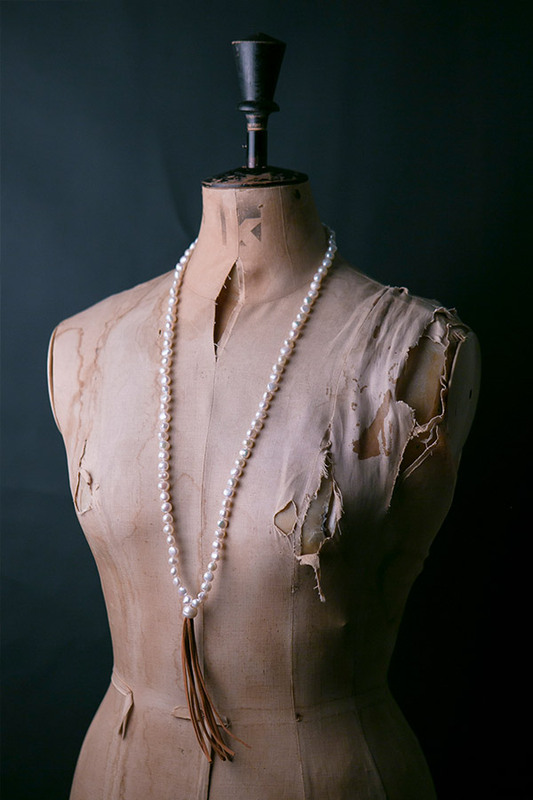 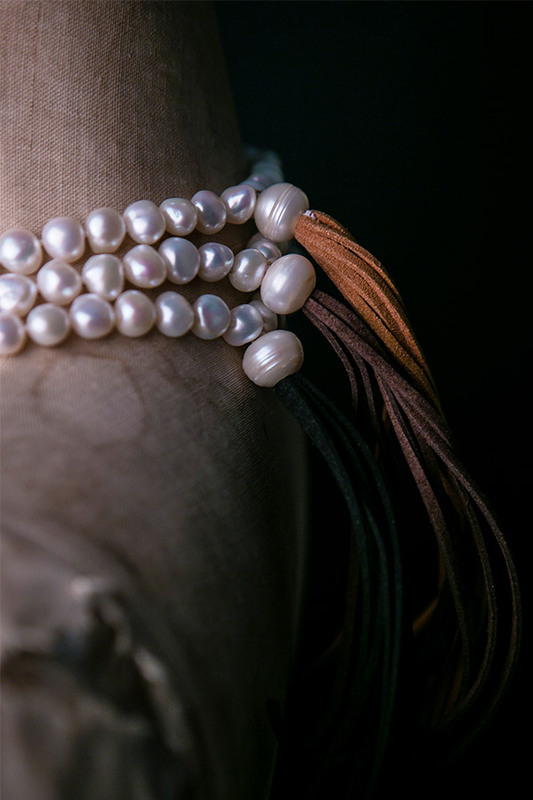 Beautiful white fresh-water pearls, each hand-knotted and finished with a handcrafted tassel made of soft, natural tan-coloured leather.